This article was published as the Month of PHP Security Submission. The $auth variable can be spoofed again. Note: The attacker must know the variable name to spoof – he can guess it, get it from some error message, brute-force it, but most commonly he gets it from the source code (open-source applications or a former employee). It does not warn about assigning to an uninitialized array. It warns about accessing non-existing index in properly initialized array. It is issued in runtime. // only one byte can be written to  so "pwd" is interpreted as "p"
Now it is enough to guess the first character of password and send it along with spoofed $config. I would not say that this code is more clear and less error-prone (there is already one error included). The third problem of notices is security-related. If some usage of uninitialized variable is not spotted during the development then an attacker can use it. It is nice that you are informed about the usage of uninitialized variable from the error log but if it is used for an attack then it is too late. It is possible to make notices fatal by set_error_handler but it is not worth it for most applications. I would not recommend disabling notices. However, it does not solve all problems and requires writing of more thorough code as you have seen. Luckily, there is a better way to spot uninitialized variables that solves all three problems of notices. It has a name php-initialized. It is a tool for analyzing PHP source code to spot uninitialized variables. It does not run the code and has some limitations but it can be used to check the code routinely for example after refactoring or before commit. It is partially a political decision explained in this article – it is less error-prone to initialize variables unconditionally. Apart this limitation, the supported features covers nearly all parts of PHP. Note: Author of this article is the main developer of php-initialized. Variable spoofing does not involve only global variables. The $_REQUEST variable can be filled by other source than a programmer assumes. It is thoroughly explained by Steffan Esser. I would only append that as the contents of $_REQUEST can be affected by request_order since PHP 5.3.0 then an application could not rely on the contents of $_REQUEST and would not run on some configurations. Good PHP application should always initialize all variables before usage. It is a good idea to turn off register_globals but a good application should not rely on it. PHP offers an E_NOTICE error level that can spot some uninitialized variables but it is not 100% reliable. 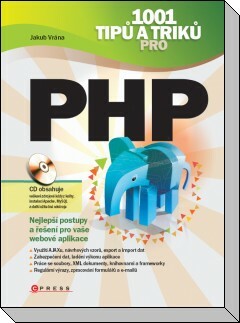 Tool php-initialized solves the deficiencies of it. This seems much more natural to me.. Just wondering :-). You are absolutely right, $auth = authUser() is much better in this simple case. The example shows only a bad design pattern. If there would be more conditions, database queries etc. then a simple assignment would be impossible. $auth = false really is the default value. Why it's not worth it using set_error_handler? Non-fatal errors are one thing that bothers me about PHP. The language it self cannot decide, whether some error is critical or not, because even a warning means that something went wrong and application could be in an unpredictible state (assuming that no today's php programmer releases code throwing warnings that he knows about). Or is something wrong about set_error_handler mechanism itself? Input is understood as plain text but URLs will be converted to links and PHP code enclosed in <?php ?> will be highlighted.